Stakeholders involved in drafting the statute on Serbian autonomy want Serbia to stay directly involved in life in northern Kosovo – leaked documents show. Leaked documents that BIRN has seen reveal that Kosovo Serb stakeholders that the team tasked to draft the controversial statute on the Association of Serbian Municipalities consulted believe the statute should allow the education and health sectors to remain reliant on Serbia. They also believe the Association should have managing rights over public enterprises in the Serb-majority north Kosovo, such as the Trepca mining complex and Gazivoda – which have been the subject of major disputes between Belgrade and Prishtina. BIRN obtained several reports of the May and June meetings of the Kosovo Serb team tasked by the Prishtina authorities with drafting the statute for the long-awaited association –one of the key deals agreed between Belgrade and Prishtina in EU-led talks. The documents reveal that, during the May 21 meeting with the team, the heads of public enterprises in Kosovo that Serbia still controls said the Association must ensure the economic stability of the Kosovo Serb municipalities as a “condition of [their] economic survival and development”. Jovan Dimkic, head of the Trepca mines in Serb-run north Mitrovica, said that all public and social enterprises in the area should be managed by the Association, ZSO. “Interlocutors agreed that a future strong jurisdiction of the ZSO in the field of the economy is an important precondition for the stable functioning of these systems in the future,” the report wrote. Kosovo adopted a law on October 2016, which has not been implemented, that would transform the Trepca mining and industrial complex into a shareholding company in which the Kosovo government would control 80 per cent of the shares, while 20 per cent would remain the property of its workers. This was strongly opposed by Serbia, which disputes Kosovo’s claims of ownership, and says it wants to protect the jobs of Serbs working there. Srpska Lista, the main party representing the Serb community in Kosovo, boycotted Kosovo institutions for six months in protest over the passage of the law. The reports also reveal that during the meetings held in May, representatives of health and social care staff told the team tasked with drafting the statute that these two sectors should remain linked to Serbia via the ZSO. Health would be one of the “key areas in which the Association would have certain jurisdiction,” the report dated May 30 reads. The report quoted Milan Ivanovic, director of the health centre in Mitrovica, as saying that Serbian health care has a higher standard than in Kosovo, which “does not have good staffing”, and that the healthcare system “is the strongest pillar of the Serbian state in Kosovo” – which is why the Association needs to have full autonomy in this field. During the meeting on May 31, heads of Serb social centers told the team that the Association should have complete supervision over the existing network of social centers, which should remain linked with the social system in Serbia. Gradimir Nastic, head of the social centre in the northern municipality of Leposavic, said the Prishtina authorities do not cooperate with the Serbian social centers and the Association would resolve this issue. Similar proposals have been made concerning the education system where stakeholders want the association to be the link between Kosovo Serbian municipalities and institutions in Serbia. 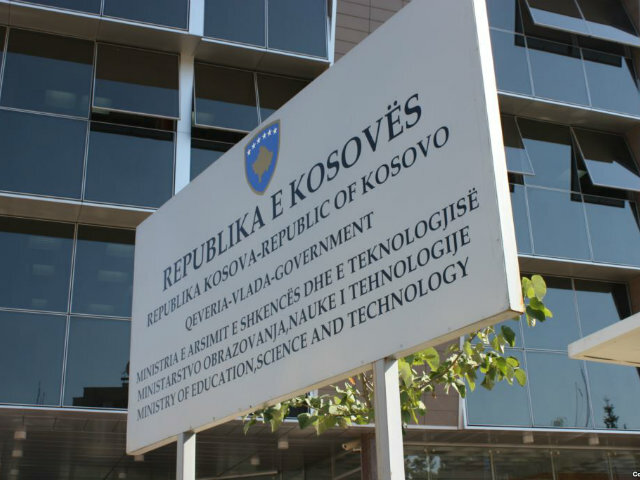 Serbian schools in Kosovo still use the curriculum from Serbia and do not report to the Kosovo Ministry of Education, Science and Technology. The Kosovo Education Ministry told the news agency Kosova Press in April that it had charged Deputy Minister, Bajrush Cezari with dealing with issues in non-majority communities, “especially with schools that are not integrated into the system of the Republic of Kosovo”. Education has also been a matter of debate between Kosovo and Serbia. Under a deal reached in 2015, Kosovo was to to supply school textbooks to Albanian communities in Serbia while Serbia was supposed to do the same for Serbs in Kosovo – the first time that the two sides had come to such an agreement since the war ended in 1999. However, in December 2015, Serbia banned trucks from transporting around 100,000 elementary school textbooks from Kosovo to Serbia’s Presevo Valley, which has a large ethnic Albanian community, claiming they were politically unacceptable because they referred to Kosovo as an independent state. A report “The History of Kosovo in the History Textbooks of Kosovo, Albania, Serbia, Montenegro and Macedonia”, published in Kosovo in December 2015, noted large differences in interpretation of history in textbooks in Kosovo and Albania on one hand and Serbia, Macedonia and Montenegro on the other. While Kosovo textbooks wrote extensively about crimes committed by Serbs against Albanians in 1912-1913 and 1918-1919, there was no reference to these crimes in Serbian books, for example. Similarly, crimes committed by Albanians during the German occupation from 1941 to 1944 are presented in Serbia’s history textbooks but not in Kosovo or Albania history textbooks.